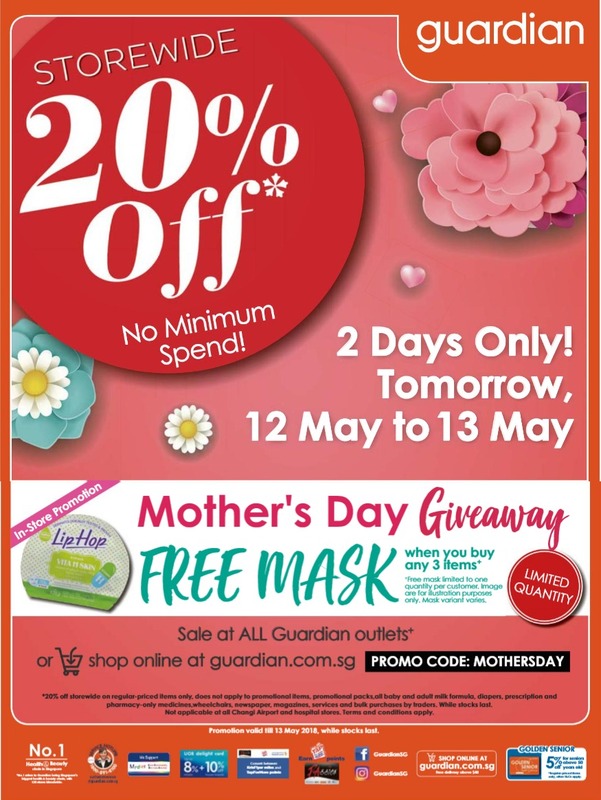 Guardian will be celebrating Mother’s Day and will be offering 20% off storewide promotion at all stores for two days, on 12 & 13 May 2018. No minimum spend so you don’t have to make a big purchase! 20% off storewide on regular-priced items only, does not apply to promotional items, promotional packs, all baby and adult milk-formula, diapers, prescription and pharmacy-only medicines, wheelcharis, newspapers, magazines, services and bulk purchases by traders. While stocks last. Not applicable at all Changi Airport and hospital stores. Terms and conditions apply.